I quickly became addicted to this incredible sport, and I have found myself looking for ways to constantly improve. I have utilized a three prong approach to my improvement that included professional instruction, mental coaching, and golf fitness training. 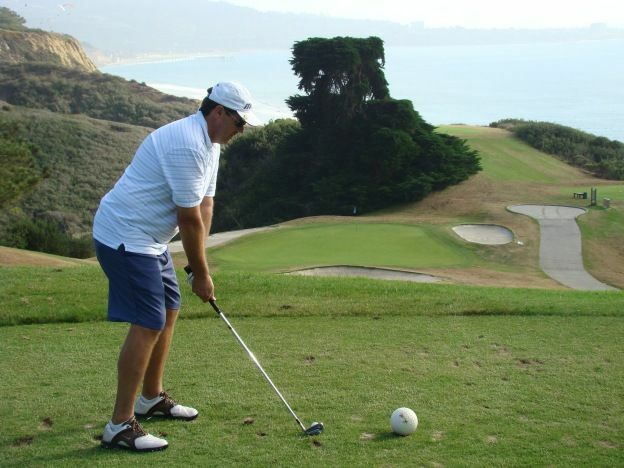 I began working with Ryan Blackburn in April of 2012 after a tremendous dip in my golf game. Ryan created a fitness plan that focused on my individual needs, and my game has improved significantly. He took the time to learn about my special needs and even met with my swing coach to understand what I needed to improve my golf swing. Since working with Ryan my swing coach continually comments on the improvement in posture and set up. My average drive has moved from 200 yards to nearly 250 yards. My handicap has dropped about 6 shots to a low of 11.9 in April of 2013. I have been promoted twice in flight on the Golf Channel Amateur Tour. I broke 80 for the first time. I had my longest drive in a tournament of 293 yards in April of 2013. If you are looking for flexibility, strength, and yardage in your golf game, then my results over the past year tell me that training time spent with Ryan Blackburn is a must.